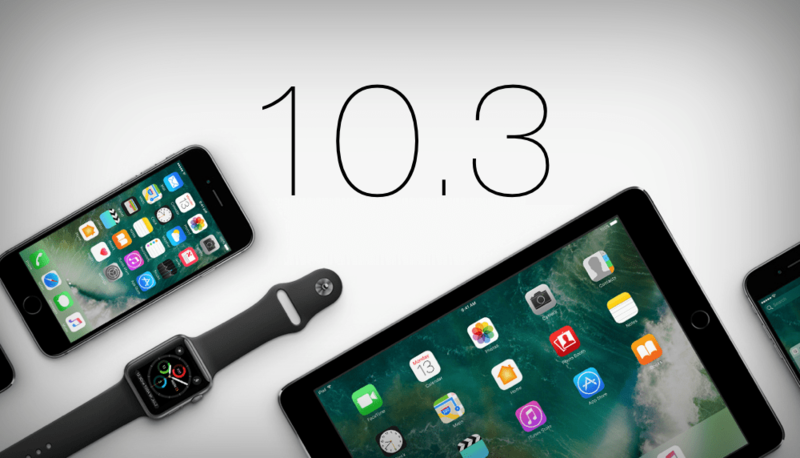 With iOS 11 being speculated to launch soon, users have already set their eyes on the next big OS arrival after upgrading to iOS 10.3 update. However, it makes sense to give priority to analyzing and adapting to the present version first as the iOS 11 is still months away (and may coincide with the launch of iPhone 8). With iOS 10.3, Apple has introduced its own file system called the APFS (Apple File System), which will replace the hitherto used 31 year old filing system HFS+. It used to have different implementations in terms of encryption that required a device specific code for iOS device suite. Apple has tried to solve this problem by introducing APFS, which stores data consistently across all devices. This will considerably increase the indexing speed on individual devices and in inter-device communication. This relatively new system is expected to evolve in the subsequent iOS versions, and cause a few glitches in the functioning of devices running iOS 10.3. For example, it takes nearly 20 mins to install the 10.3 upgrade package! Although iOS 10.3 is primarily held for being ‘more than just security patches’, the patches themselves are considerable in number and significant in terms of their functionality. Special patches are provided for browser security (Safari) – to protect users from ransomware, and for contact app – to prevent user’s contacts, text logs, and emails being accessed without permission by apps. The iOS 10.3 provides a record 60+ bug fixes and security patches to better protect the iPhone, iPad and iPod touch from malicious attacks. This app is not included in the beta version, but is said to be available to a certain set of users who have upgraded to iOS 10.3. The Clips application allows the user to create small videos and edit them on the fly, to be shared by the users on iMessage, Whatsapp, Facebook, Instagram, and other social media networks. The final version of this application will be available for all users around mid April. A nice thing for forgetful iOS users is that ‘Find my Airpods’ feature will display the last known location where the Airpods were connected to the device. This feature is available inside Find my iPhone application. It also allows the users to set a sound alert for the Airpods. Another boon for music lovers is the changed Carplay, which now eliminates the need for multiple taps for going to your playlist or switching apps. No going to home screen every time you want to switch between Maps, Spotify, and Phone! The new Siri can help you search specific cricket scores and stats. It can also be used to book rides on the go. The smarter Siri can also check bill statuses, if the right payment app is installed. The iOS 10.3 update also brings good news to those who purchase their movies from iTunes. Now, the purchased items will work on a ‘Buy once, run anywhere’ basis, as long as the device is an Apple device owned by the user. There are a lot of other nifty features like the Apple Maps showing weather information and allowing search for parked cars, Podcasts supporting 3D touch and sharing in messages with full in-app playback, and Verizon users finally being allowed to place inter-device calls over Wi-fi. These features are certainly an indication of a good time ahead for iOS users across devices – iPhone, iPad, and iPod Touch, till Apple surprises us with a new iOS version later in the year. How do you copy DVD with DVDFab DVD Copy Software?